Our Meyer lemons are just about ripe and we have a ton of them. This lemon monster was pruned back quite a bit before we moved in but it definitely got away from us again. 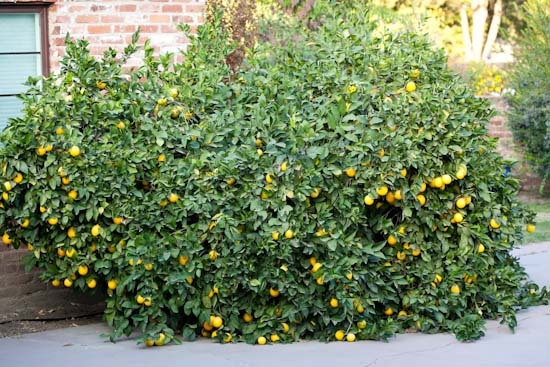 The tree is so loaded with lemons that the branches sagged to the ground and just started growing out along the pavement! It needs a lot of thinning, but we just can’t bring ourselves to cut off any of the unripe lemons. There are lemons on top of lemons on top of lemons. Most of them are still a bit green, but I’m expecting them to be fully ripe within the next couple of weeks. When that happens, we’ll start thinning it (and handing out lemons to whoever will take them) and try to turn it back into our pretty and happy little lemon tree. Meanwhile, I just realized that we still have one last basil plant. 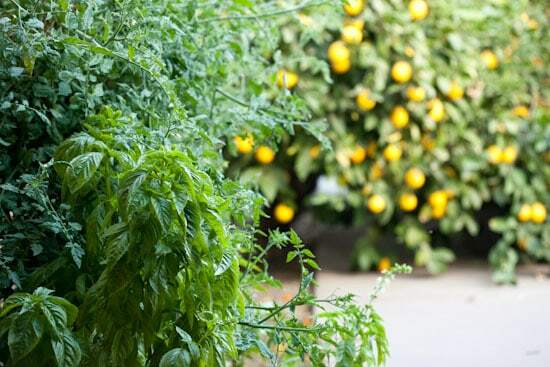 It looks like I’d better come up with some recipes using both lemons and basil while I still have access to both! Our Meyer lemon tree is also loaded with lemons. I will be using some of them to make the Seriously Lemon Tart for my Daylily clubs' Christmas party contribution to the meal. I am soooo jealous! Meyer lemons are the best thing in the whole entire world. I love lemons go through so so many. 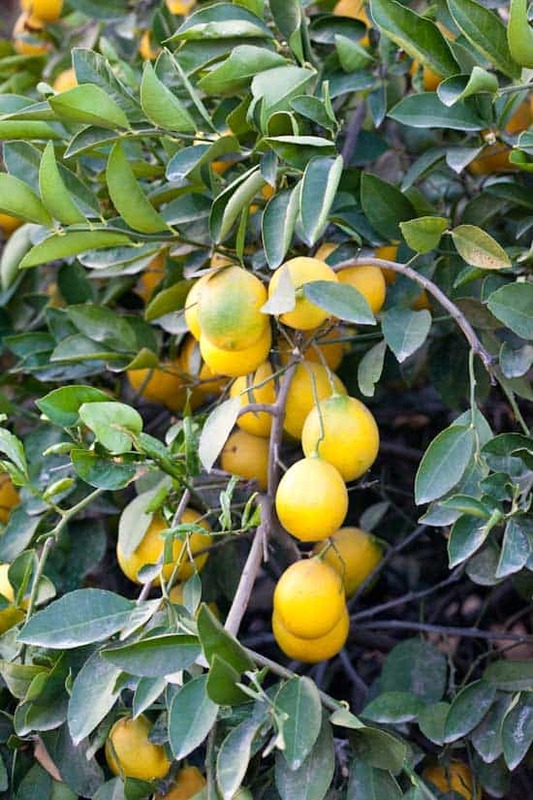 When we move out of the forest, a meyer lemon is the first thing I'm planting! Can't wait to see what you'll do with all those beauties. Oh my gosh! If I lived near you, I would be begging to take some of the lemons off your hands! My mom loves meyers and I use them to make a meyer lemon honey jelly. I live in the Rockies where the snow blows like crazy and lemon trees are potted plants. :( I've got to schedule a trip southwest soon! Wow! That is incredible! It looks so beautiful! I wish we could have one here- just way too cold! I'd make all kinds of lemon bars and lemon chicken.... all the time! I am infinitely jealous. We have a dwarf meyer down in our slot canyon of a "backyard," and it does produce pretty well when it comes into season. But Not like that! 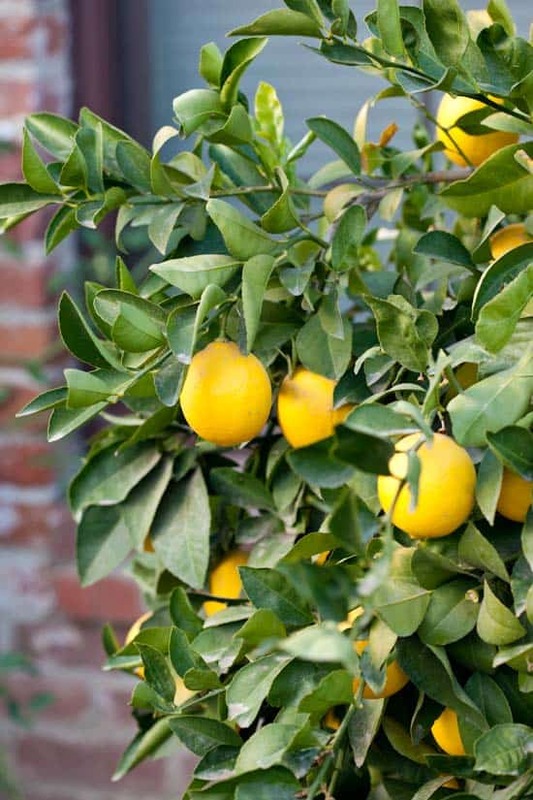 This is one gorgeous lemon tree! Love that color! Enjoy!